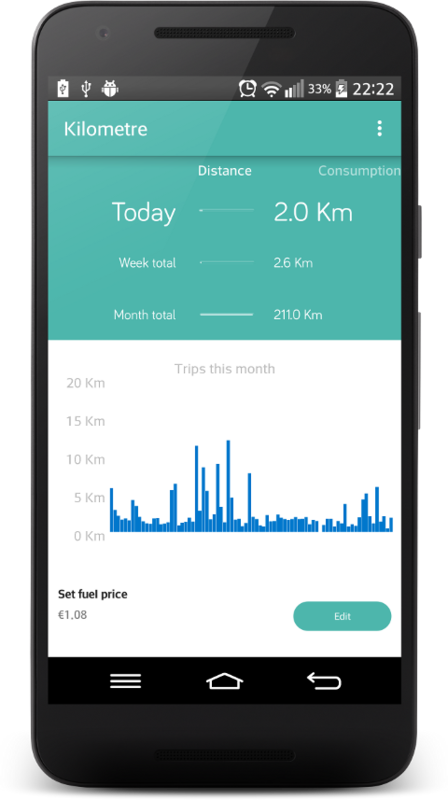 The built-in smart activity recognition software will detect your trips and start recording your expenses even if you forget about the app in the background. 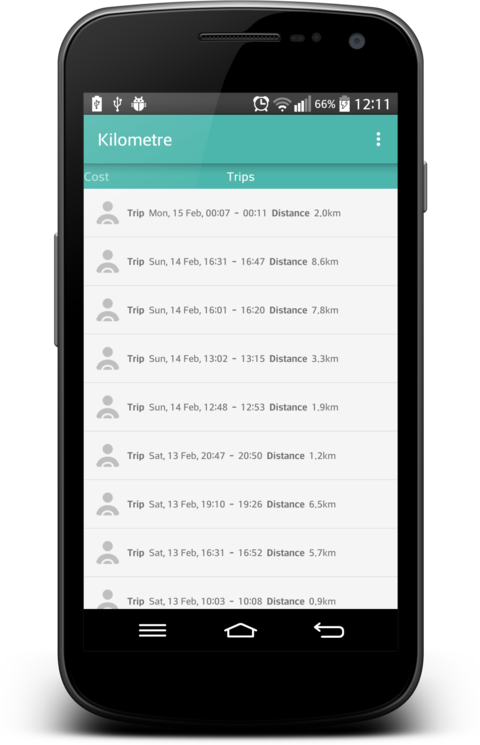 Configure your app to use the US Customary System, Imperial, or Metric Systems. 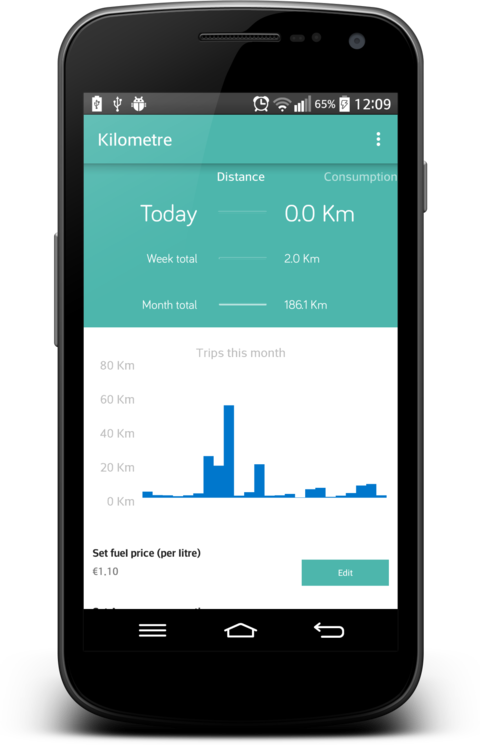 The app finds the travelled distances and calculates the fuel consumption and expenses based on your selected car economy value. Smart activity sensing with high battery efficiency. 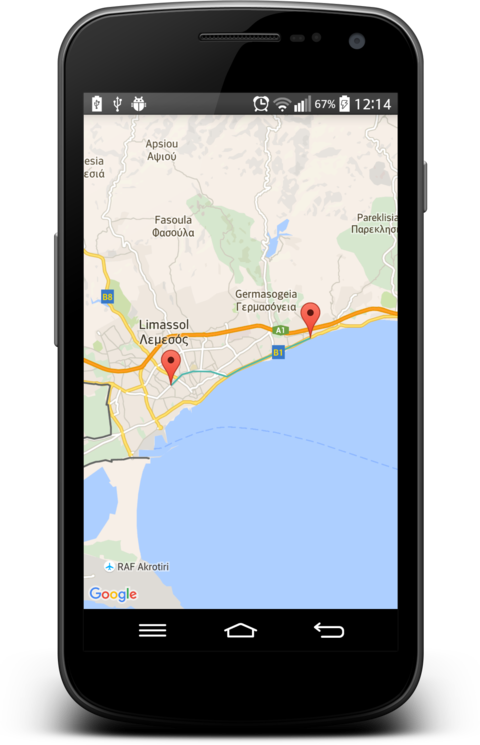 History of your trips with details, including your routes shown on Google Maps. Disable the smart-detector software and manually record trips on demand. 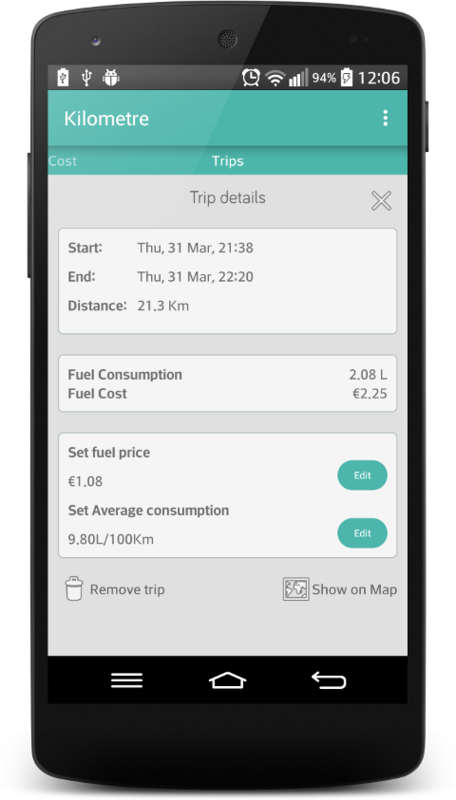 Use this app to keep track of your trips, analyze your distances, discover the fuel economy and expenses of your trips, and check your routes on the map.